One (1) Large Terry Style super absorbent optical-grade ultra-soft micro-fiber polishing cloth of 355mm x 400mm size (14" x 16"). 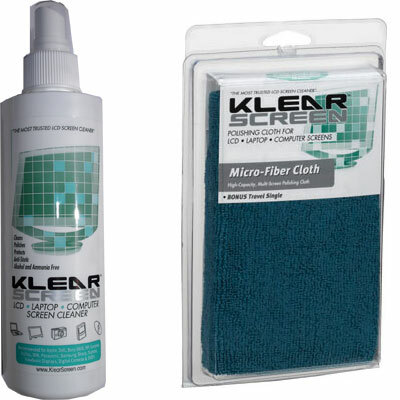 Klear Screen's Terry Style Microfibre Polishing Cloth is a high capacity, super-absorbent, optical- grade polishing cloth used in conjunction with Klear Screen Cleaner. Is ideal for cleaning every screen such as the big screen TVs, Plasma screens and all glossy screens. This cloth is highly recommended for heavy-duty cleaning, cleaning multiple screens cus as in lab settings. Is washable & reusable.